Alabama Bloggers: Giveaway for One of Three Amazing Alabama Coffee Table Books!! Giveaway for One of Three Amazing Alabama Coffee Table Books!! I have had the pleasure of working with Turner Publishing for a couple of giveaways on my own blog, and they are top notch. Their books are so classy, so well done, so ENGAGING. So when I was thinking about what giveaway would best personify the beginning of Alabama Bloggers, they were the first company that crossed my mind. I'm not usually a history buff by any stretch, but the moment I opened up Historic Photos of Birmingham, I couldn't put it down until I had looked at every picture and read every caption in the entire book. My husband had the same exact response. There's just something completely magical about seeing 100+ year old photos of your own city - it gives me such a yearning to experience life at that time. Well, experience it for an hour or so. Then I want my computer, cell phone, car with air conditioning, and the social freedom to wear blue jeans back. However, the books are FASCINATING. The timelines. . . seeing things change before your eyes. . .seeing the phases of history that our state went through. . . seeing what my city looked like when my grandparents were teenagers, then when my parents were teenagers. . . seeing all of the crazy men in 5 piece suits and top hats and ladies in 10 feet-in-diameter dresses and hats in the dead heat of Alabama Summer. . . the experience is simply indescribable. So, the fine folks at Turner Publishing have given me THREE books to give away to you!! They are each valued at $40, and these books are pure artwork. 3. 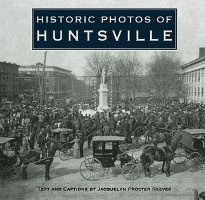 Historic Photos of Huntsville If you're not from one of these three cities, this is an extensive series - they also have similar books on quite a few other cities. Check to see if your city is on the list here. To enter to win one of these three books, comment on this post. Somewhere in your comment, let me know which book you would prefer if you were a winner. I can't make any guarantees, but I will try to match up the winners with their preferred book. BE SURE TO WRITE A SEPARATE COMMENT FOR EACH OF YOUR ENTRIES. This contest will be open until Monday, June 8th. The three winners will be chosen randomly and announced on Tuesday, June 9th. I would choose Birmingham. A great giveaway! I put the button on my blog. I follow Alabama Bloggers on Twitter, of course. I subscribe to Alabama Bloggers feed via Bloglines. My brother-in-law is from Alabama and my sisters lived in Birmingham for years. I would love to be able to give these to my brother (and maybe well, keep one for myself). Birmingham is fabulous by the way and Dreamland's ribs rule! I follow this blog in my google reader. Oh, and I forgot to say which book. I would really like the Mobile book, since that is my original hometown. Oh yes, and I am a follower! My husband and I looked at that book or one very similar at the bookstore not long ago. His grandmother grew up in old Birmingham. I would love to have that book to share with her! What an awesome giveaway! Of course, I was already following/stalking. Without a doubt, I subscribe to the feed through Google Reader. I'm a huge history buff, I'd love to have the Birmingham book! I'm also an Alabama blog follower. I was accidentally signed in as Ryan on my 1st comment. I have the Alabama bloggers button on my blog. I would choose the book on Birmingham - my hometown. I've got your button on my blog! Would love the Birmingham book. I'd love the Birmingham book! I live in Birmingham so I would like to win that book. I've been to the old train depot in Bessemer to look at their collection of old photos and even found my grandfather in one of them. I would choose B'ham also, although I am sure any one of them is wonderful. And I have the button, too! I'm all over this, Rachel! Haha! I love old photographs, wish I could have them framed & hanging all over my home. I would choose Huntsville (no special reason). I'd love the Bham book or the Mobile book! My mom was born in Mobile! finally, i'm going to put the button on my blog too! Sure, sign me up. I love giveaways! And I'm leaving a Twitter comment now! Maybe Huntsville, for a choice of one of the three (but I wish it was San Francisco!). 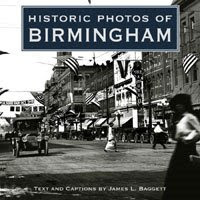 I would like the Birmingham book, but I love historical photos so any of them would be neat. My MIL is from Mobile. This would be great for my son and his wife who are going to have a new baby in April. Would love to win this from them. Thank you and Happy Thanksgiving !!!!!!!!! I would choose the Birmingham book! Thanks! I follow you on twitter! I would choose Birmingham! I tweeted about this! I would love the Birmingham book! I'd love to win any of these books! 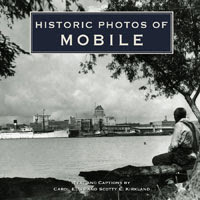 I would love historical photos of mobile. Thank you. Hmmm, I live in B'ham now, but I'm originally from the Mobile area so It's hard for me to choose. Flip a coin I guess? I would love to win one of those books!! Sign me up! I live in the Mobile area and would love to have the book. Blog button affixed to my sidebar. I spent some of my growing up years in Huntsville so that's the book for me! I follow AB on twitter! I'm a follower, a subcriber, have the button on my blog, and follow on Twitter. I'd love to win that Mobile book! I follow on Twitter! I love that Mobile book! I am blogging about this contest so I can win that Mobile book! I think the Huntsville book would be good. Ooh...swag! I would pick Birmingham even though I am sure the history of H'ville and Mobile would love lovely on my coffee table. I subscribe to the feed too! These look really neat, I have family from Alabama so any of these books would be a welcome peek at my history! I would love to have the book on Birmingham. I would love to win the Birmingham book for my dad! I would love all of them but if I habd to settle for one it would be Mobile. I just moved to Alabama in January and would love to have one of these great books. I would prefer the one on Mobile.